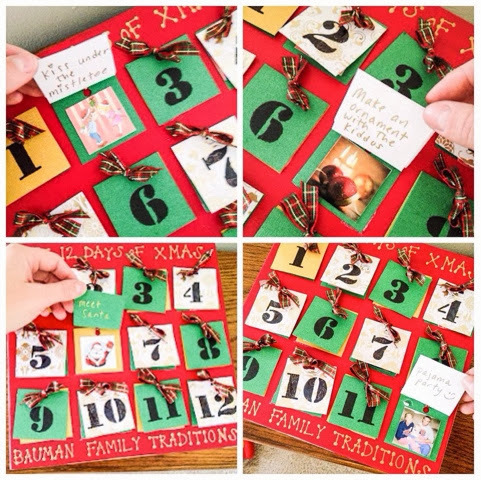 A fun idea and pretty decoration to have hanging in your home for the holidays -- The 12 Days of Christmas filled with your holiday traditions/fun stuff you do during Christmastime. 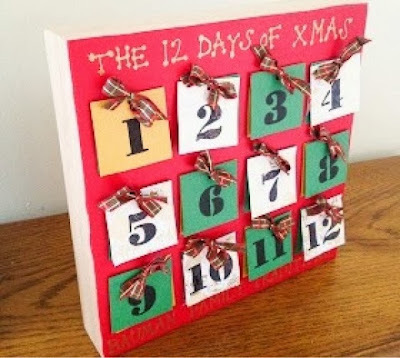 You can really make this however you want, I made ours on a canvas (as an alternative you can use large card stock paper) and only other supplies you need are: some festive holiday craft paper, stencils, ribbon, hole punch, glue, & photos. 5. Put up the tree!